Today I want to talk about how great coffee is. That is in light of the judge in California who has mandated that all coffee in California is labelled “as containing a potential carcinogen”. Those of you who have read my blogs for the last few years know that I believe longevity will be the next disruptor the way the chip has been the last (yes fire, the wheel, the steam engine, antibiotics all are on the list). There are at least 10 steps that have been shown in at least 4 studies in humans that help you keep your brain as young as possible till this revolution where you can be half the age you are takes hold. Now let’s get to coffee. While it’s true that the acrylamide that coffee contains after roasting (French fries, chips, crackers, chocolate and grains contain it too) is the same chemical that the International Agency for Research on Cancer has designated as a 2A carcinogen (that boils down to “might or might not be carcinogenic in humans” ), it’s not likely to be risky in the minute amounts found even in unhealthful foods. For example, McDonald’s fries have been found to have 328 parts per billion. The judge in this case was apparently seeking “proof” that coffee confers a health benefit and/or is free of all risk. Unfortunately this judge needs a remedial course in high-school biology. He apparently doesn’t understand relative risks and the basics of epidemiologic research for nutritional choices. 2) Those small amounts per billion (very dilute!) are far, far, far less than the straight dose of acrylamide fed to lab rats to test if it is potentially carcinogenic. Their dose is up to 10,000 times stronger than what you’re getting from food—but does then trigger tumor formation. Plus, rodents absorb and metabolize the chemical differently than humans. A cup of coffee has much less than a small container of French fries (and light roast has much less of this chemical that dark roast). 3) Meta-analysis of multiple studies on coffee consumption found that overall coffee seems to offer health benefits including a probable decreased risk of breast, colorectal, colon, endometrial, and prostate cancers and cardiovascular disease. 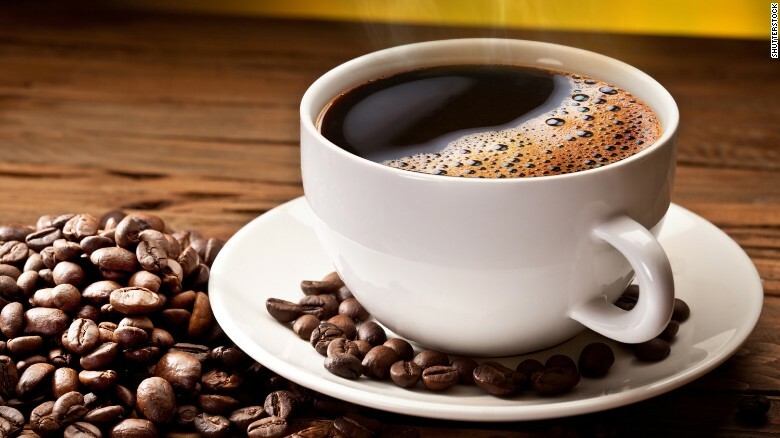 In addition, observational studies showed caffeine was associated with a probable decreased risk of Parkinson’s disease, type 2 diabetes, and dementia, all by 20 percent or more.. So don’t forego your Joe, but do ditch added sugars and high-fat diary. As for me, I’m still drinking more than 6 cups a day as I believe the preponderance of data that coffee offers fast metabolizers (those who do not get a headache, arrhythmia, gastric upset or anxiety from a cup in a 1 hour period) a protection from cancer, dementia, and type2diabetes. And yes, I do believe all who enjoy coffee should continue as it does, IMHO and in more than 4 studies in humans. decrease brain dysfunction. Next month we’ll talk about another choice that keeps your brain young. You can follow Dr Roizen (and get updates on the latest and most important medical stories of the week) on twitter @YoungDrMike, or download and rate his podcasts released every Tuesday at 7 am on RadioMD.com (That podcast is also available on iHeartRadio.com and Tunein.com). Michael F. Roizen, M.D., is chief wellness officer at the Cleveland Clinic.